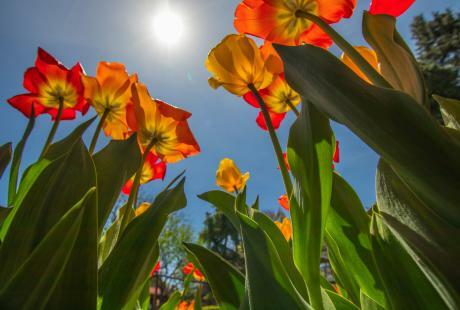 In this three-part blog, Bucks County native Shirley (Lee) Corsey recalls life growing up in Yardley Borough as an African American. Her information is based on historic landmarks, newspaper articles, online archives, documented family photos, and first-person oratory. See Shirley speak on “Women History Makers of Bucks County and Beyond” at the Bucks County Visitor Center on March 9, 2019 from 7-9 p.m. as part of a Speaker Series hosted by the African American Museum of Bucks County. Catch up with Part 1 and Part 2! 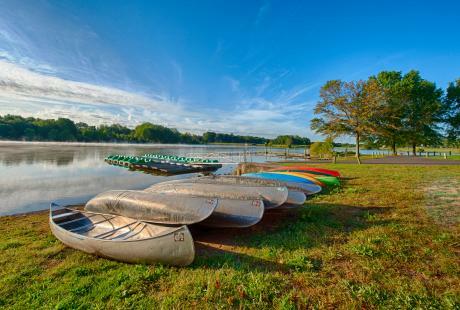 It is well-known documented history that General George Washington crossed the Delaware River right here in Bucks County. But did you know that by his side in his boat was a black man? You can see it in the dramatic painting by Emmanuel Leutze. While there is some debate among scholars how accurate the entire painting is, it is documented fact that as many as 5,000 African Americans fought in the Revolutionary War, and millions more in every American war since. 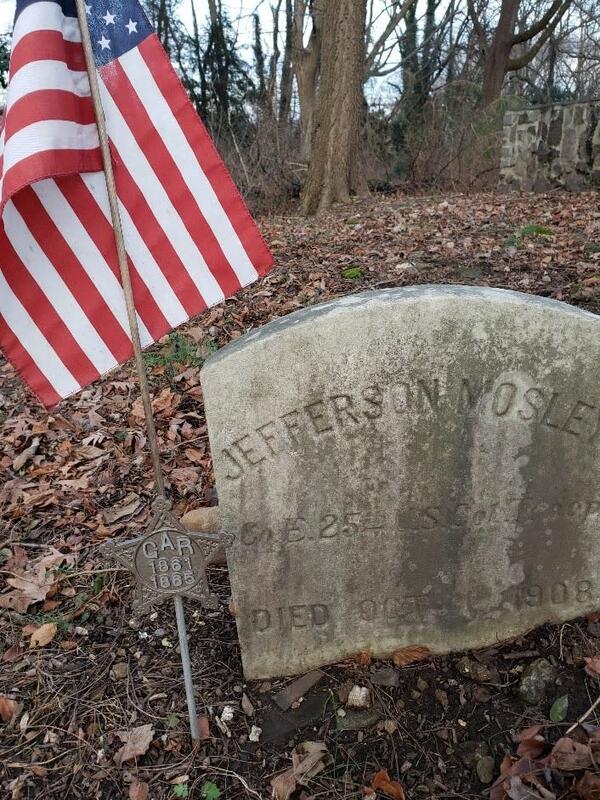 FACT: Slate Hill Cemetery is the oldest burial ground in Bucks County holding Black American unmarked graves. 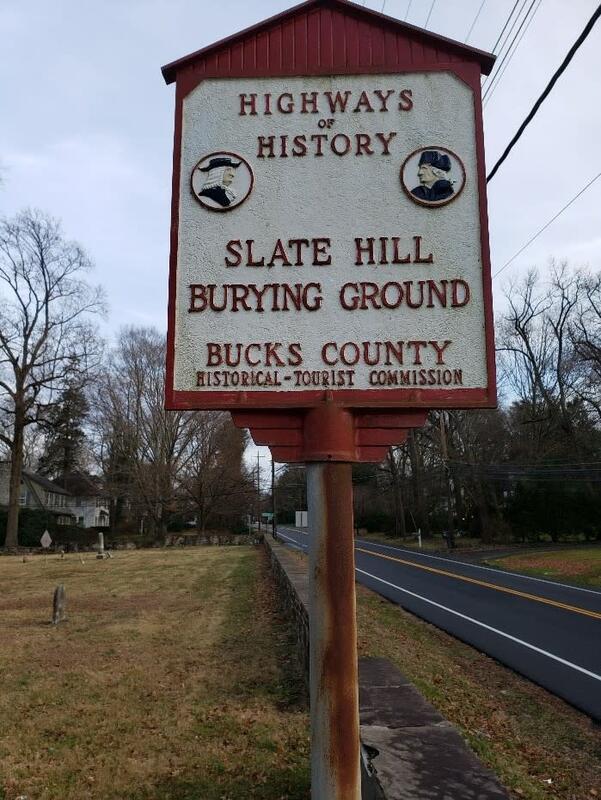 Established in 1690, Slate Hill Burying Ground (Cemetery) is a historic cemetery in Lower Makefield Township, with most of its graves dating to 18th century Quaker settlers. 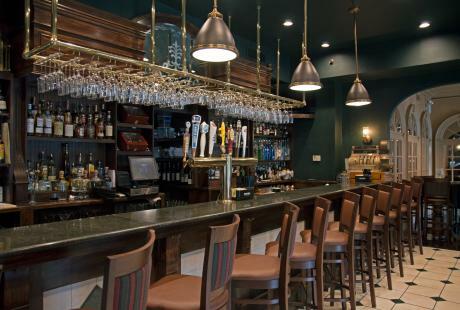 It is located at Yardley-Morrisville Road and Mahlon Drive. The Quaker section has 185 marked graves out of a total of 487, most pre-dating 1800. The public section has 96 marked graves including those of six free African Americans who served in the Union Army during the American Civil War. The cemetery was added to the National Register of Historic Places in 1982. FACT: The First Black American to hold a Mayoral Post in the Commonwealth of Pennsylvania was from Yardley. His name was Edward E. Robinson. Born in Philadelphia, PA, he was a lifelong Yardley resident. Robinson was graduated from Yardley High School and attended Lincoln University. He was a retired stone mason and construction superintendent for McAllister Construction Co. He served as a Staff Sergeant in the U.S. Army during World War II. Robinson had a long and distinguished career in politics and community service. He was elected Mayor of Yardley Borough in 1977 and held the post for 12 years. 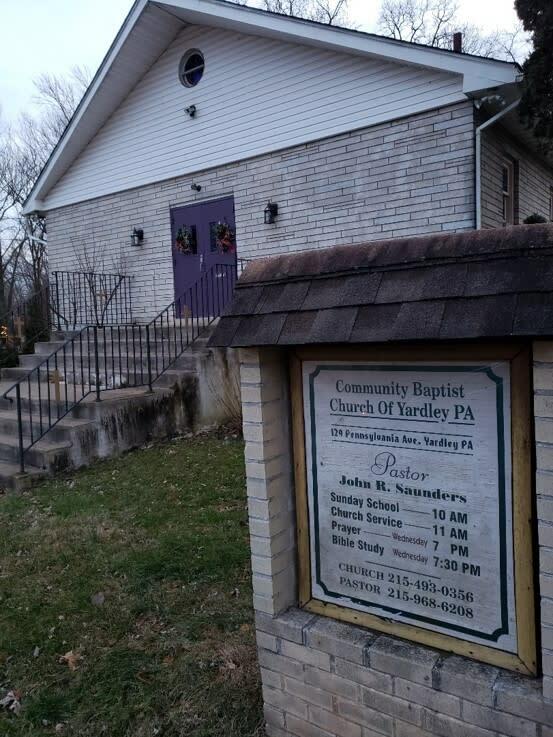 FACT: There are three African American churches located in Yardley Borough – and one of these is deemed a historic landmark. 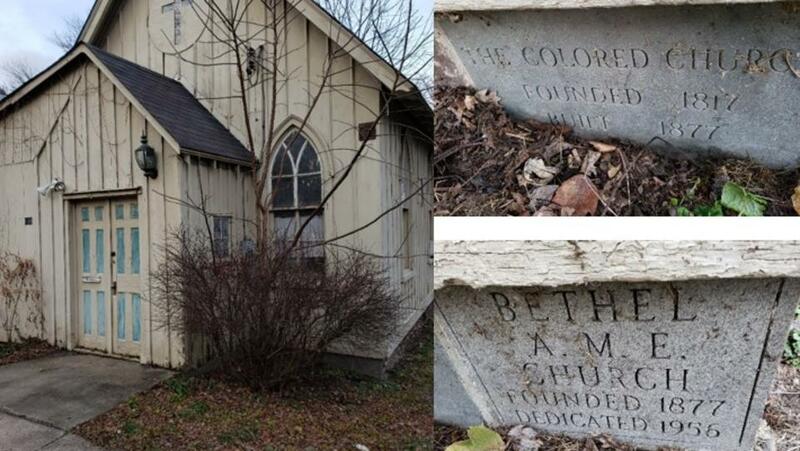 They are (1) The Colored Church - Founded in 1817 at 188 South Canal Street, Yardley, PA. This Historic Landmark became the Bethel A.M.E. Church in 1877. 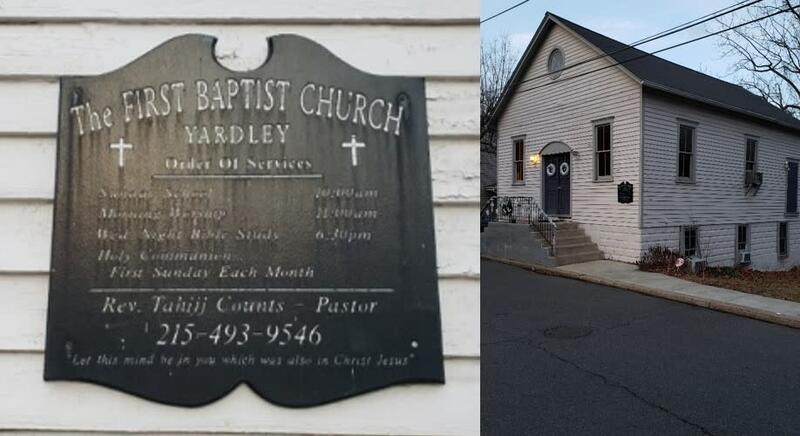 (2) The First Baptist Church of Yardley at 48 S Canal Street, and (3) Community Baptist Church of Yardley at 129 Pennsylvania Avenue. FACT: An ally of African Americans, Ernest H. Buehl Sr., owned three of Bucks County&apos;s now abandoned airports. Ernest H. Buehl Sr. was a Bucks County native of German descent known as "The Flying Dutchman." His second airport, Buehl&apos;s Airport, was opened in Eddington, PA in 1949. He owned a total of three airports, including one in Somerton and one in Langhorne. He trained hundreds of pilots, including C. Alfred Anderson, who became the lead trainer of the Tuskegee Airmen - the famous group of African American airmen who fought in World War II. This was during a time when no one wanted to teach African Americans to fly. 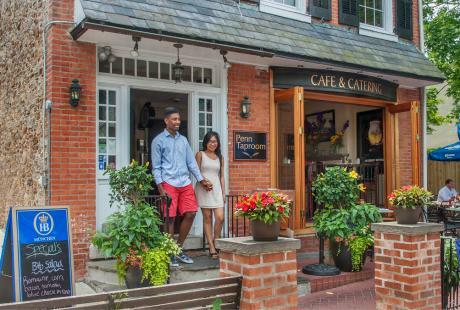 What little-known facts of Bucks County do you know? 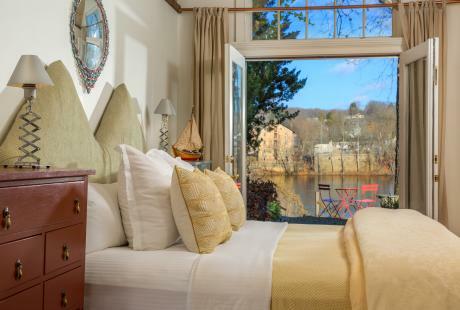 Reply to this blog and share with your friends on social media, tagging @VisitBucksPA! Shirley Lee Corsey is a computer technology professional, a seamstress, and crafter – who develops historical and educational items for adults and children. She is a self-described “historian from the heart” and a native from Yardley, Bucks County. Shirley’s mission includes sharing her knowledge and discovery of hidden figures, places and facts not well known by the general public and/or buried in the historical archives of Bucks County. Shirley is married and the mother of two sons, and is a Board Member of the African American Museum of Bucks County. She is glad her love of history and her hobbies have arrived full circle this time in her life and so honored to be able to share it.